This book seeks to throw light on the reasons which have given rise to the superficial image of Spurgeon as a genial Victorian pulpiteer, a kind of grandfather of modern evangelicalism. Even before his death in 1892 newspapers and church leaders disputed over the features of his life which entitled him to fame. Not his ‘narrow creed’ but his ‘genuine loving character’ was most worthy of remembrance said one periodical, echoing the general view. When Joseph Parker contrasted the hard Calvinism preached at Spurgeon’s Tabernacle with the praiseworthy Christianity exemplified in his orphanage, The Baptist protested that the man about whom Parker wrote ‘is not the Spurgeon of history’. But the distortion continued and Spurgeon forecast how the position he held might fare in years to come: ‘I am quite willing to be eaten by dogs for the next fifty years but the more distant future shall vindicate me’. 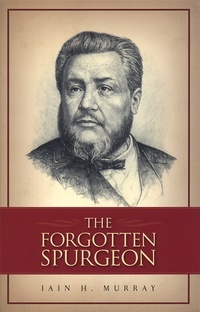 This book traces the main lines of Spurgeon’s spiritual thought in connection with the three great controversies in his ministry - the first was his stand against the diluted gospel fashionable in the London to which the young preacher came in the 1850’s; the second, the famous ‘Baptismal Regeneration’ debate of 1864; lastly, the lacerating Down-Grade controversy of 1887-1891 when Spurgeon sought to awaken Christians to the danger of the Church ‘being buried beneath the boiling mud-showers of modern heresy’.